Health care is a very important topic on the minds of American consumers. 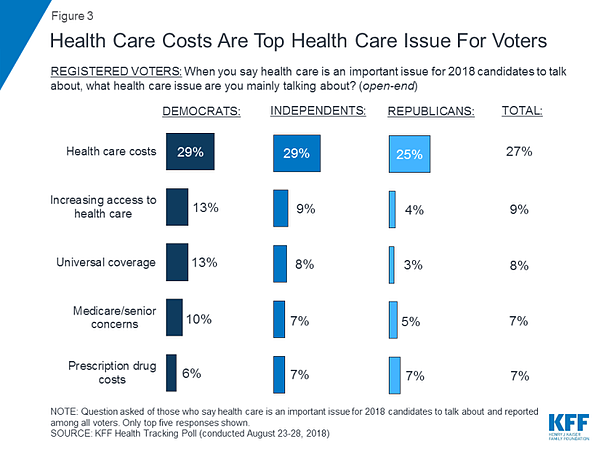 A recent survey by the Kaiser Family Foundation found health care cost to be the number one issue on the minds of voters in last year’s midterm election. The cost of health care is rising for individuals and employers. 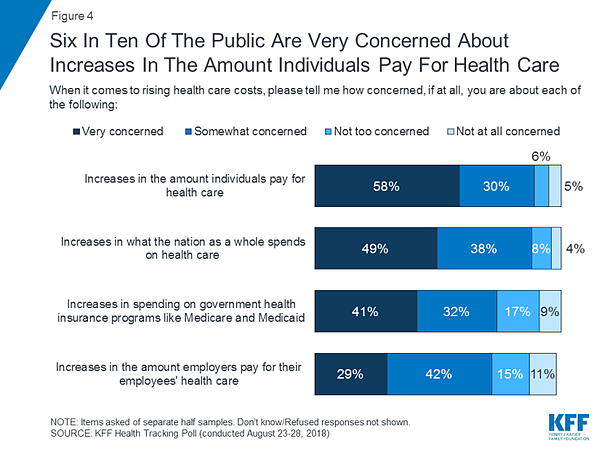 One reason so many people are concerned is due to the ever-increasing cost of health care. 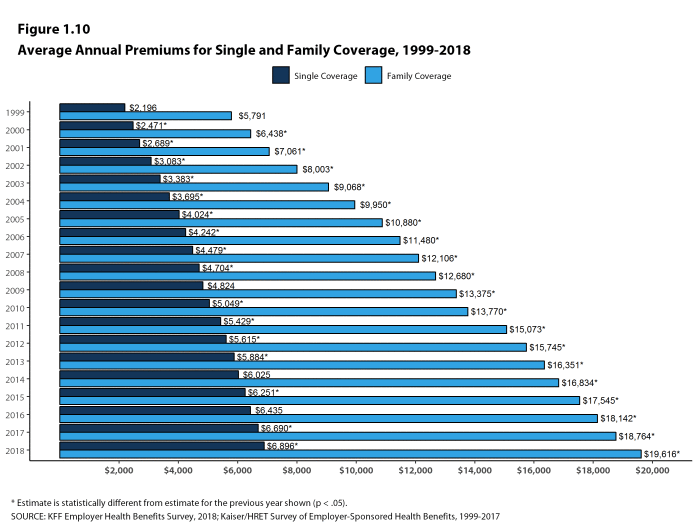 In this graph below, (Kaiser Family Foundation survey) we see that the average annual premiums for single and family coverage has skyrocketed from 1999 – 2018. Let’s look at it from another angle. 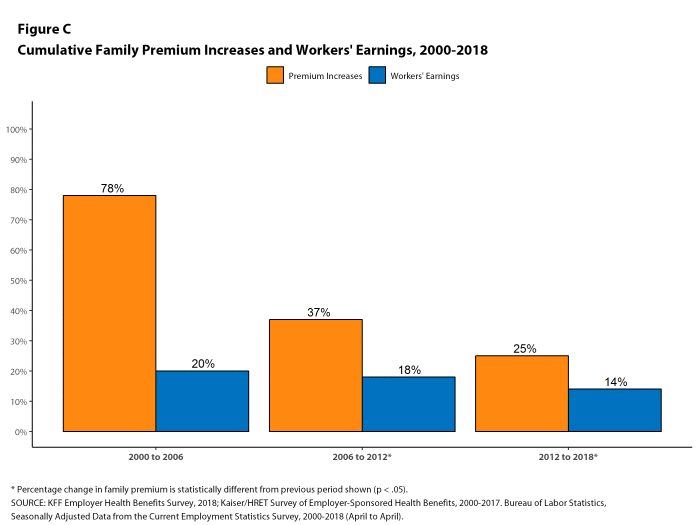 In this Kaiser Family Foundation survey, they compared the cost of health care premiums to the increase in a worker’s earnings. Since the turn of the century, workers have been paying dramatically more for health care and not making enough to offset those costs. So, anyone who had to bear their health care costs never felt any raise. And from the point of view of the employer, they are also spending more money on health care for their employees. The amount of money they are spending on an employee in hard dollars is going down, while the amount they spend on an employee’s health benefits is rising. So what is costing so much in health care? Here are some of the factors that have caused health care costs to soar over the years. These will probably not surprise you. We are getting older: We've heard about the baby boomers aging for a while now, but each year more and more people reach the age of 65. This also means they have more health needs, which costs us more. We aren't considering social factors: While we know things like poor wellness and lifestyle choices affect chronic conditions, we also must consider the unaddressed social factors of health, such as economic stability and education which can ultimately contribute to the cost of health care. Things cost more money: General inflation is going up, therefore health care prices rise along with it. We want innovation and new medical technologies: We all crave innovative new technologies, but these tend to cost more than existing ones. We spend a lot on drugs: Yes, drugs drive up the cost of health care and we know it. Even though some drugs and therapies only apply to a small segment of the population, the cost is felt by all. We aren't sure what to do about government healthcare: The nation is still not sure what's going to happen with the Affordable Care Act. Will more states enact legislation to circumnavigate it? Since there is no mandate, will we experience more uninsured or underinsured people? These factors will drive up the cost of health care. Increase in health care costs is no surprise to CMS either. They have been working to address this issue for a while. CMS has categorized their payments into four models, and they are planning on moving their payments out of category one and into categories three and four. Fee for Service: This is the old bucket where there is no link to Quality and Value. Hardly any payments are left in this category. Fee for Service with Link to Quality and Value: This is where most of the CMS payments live. Examples in this category include the MIPS program and the Hospital Value-Based Performance Program. 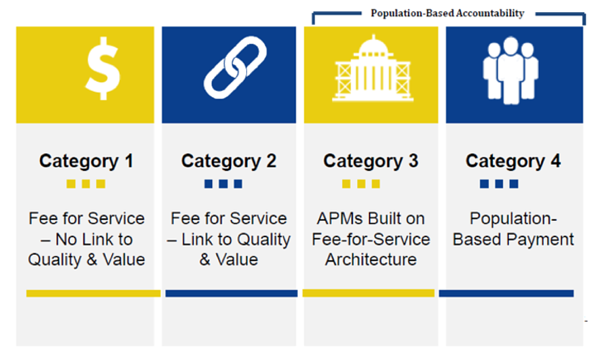 APMs Built on Fee for Service Architecture: This category is where a portion of your revenue (usually around 5-6%) is population-based. Population-Based Payment: This ideal state is where CMS wants health care organizations to go. Here are a few other predictions for 2019. Public and private payers will continue to embrace value-based care, focusing on improved outcomes for both quality and cost. Consumers don’t want to be tied to the traditional health care models. Telehealth will make a bigger appearance as will wearable technologies. Consumers want health to be on their own terms and customized to their specific needs. The industry will attempt to understand and harness the power of AI. But what is a reasonable application of AI technologies in a typical organization? Using AI may still be a few years off. Health care organizations will need to really focus on their consumers and the consumer experience. 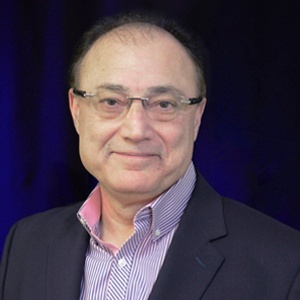 The most important thing you can do is to ensure that your organization’s quality department has access to all of the data and tools they need to run properly. Once your quality department has accurate and timely data, they can begin to make improvements to your quality and safety performance which will help lower costs and increase reimbursement funds.